The ancient city of Kanazawa is a masterpiece of Japanese culture, although it is a popular tourist destination among the Japanese, but less among Western visitors. The village is the main city area of Ishikawa in Japan. Situated on the west coast of Honshu Island, bordering the Sea of Japan and its other parts are surrounded by the Japan Alps and the National Parks of Hakusan and Noto. Literally translated, the name of Kanazawa means "marsh of gold". The ancient fortified town was called so because of the many legends associated with it. One story tells of a peasant who was a farmer and grew potatoes. After gathering the vegetables, he washed the gold dust stuck to them and gathered them in a well. 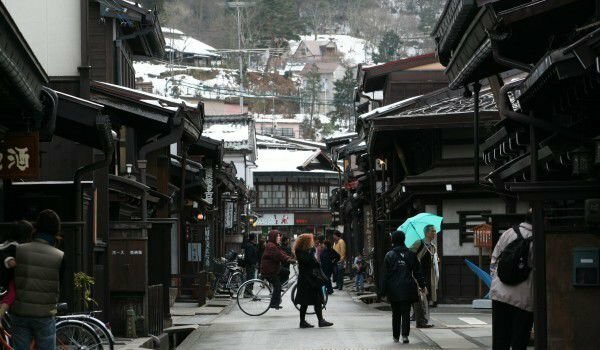 The city is perhaps the best preserved village with great architecture from the Edo period. Two major rivers pass through Kanazawa - Saigawa and Asano. For the first, they say it is lush and manly, and the second is sweet and feminine. The biggest tourist attraction here are Kenrokuen Gardens, which were built in the 17th century, situated on approximately 10 hectares, this is perhaps the most beautiful garden throughout Japan, especially in spring. The cherry and apricot trees bloom around ponds, through which beautiful wooden bridges cross. In winter, though covered with snow, the garden is also an impressive sight. The ancient town has very many places to visit. Situated in an area of 467.77 square kilometers in Kanazawa can be seen numerous museums, castles and temples. Interesting is the eponymous temple with its spectacular architecture and white tin tiles. It is surrounded by a maze of paths, whose purpose was to impede the enemies who want to get to the castle. It is best to visit Kanazawa in summer - from July to September, because during the other months the climate is harsh. It is also called the city of rain, so you should always have an umbrella handy here. 180 days a year here, it rains, and winter is very cold and snowy. The most convenient way to reach the city has to land at the nearest airport which is located in Komatsu. From there, the trip to Kanazawa takes about 50 minutes by car from the airport and there are direct buses.